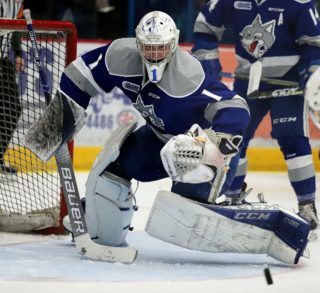 The Sudbury Wolves will have four alumni continue their fight for gold in the Men’s Hockey semi finals of the 2018 Pyeongchang Winter Olympics. Chris Kelly and Eric O’Dell (Team Canada), Dominik Kahun (Team Germany), and Dominik Kubalik (Czech Republic). 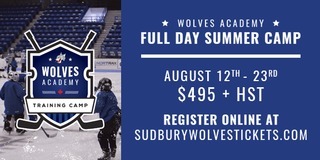 Currently, starting at 6:45 am(EST – Friday), Chris Kelly, Eric O’Dell and Team Canada will face-off against Dominik Kahun and Team Germany while Dominik Kubalik and the Czech Republic will battle it out against Team OAR (Olympic Athletes from Russia). Team Canada placed second in Group A of the preliminary round winning 5-1 over Switzerland, falling short 3-2 in a shootout to the Czech Republic and bouncing back with another win against Korea taking the game 4-0. Scoring early in the third period of the quarterfinals, Canada took a 1-0 lead over Finland which was enough to secure their spot in the Men’s Hockey semi-finals. The former members of the pack have made solid contributions throughout the tournament. Captain Chris Kelly of Team Canada made an assist on Wojtek Wolski’s empty net goal in the third period, securing a 5-1 win over Switzerland in the preliminary round. 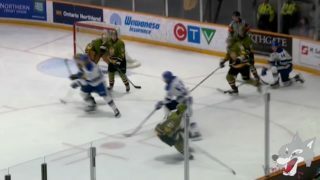 The Bowmanville, ON native played for Sudbury back in 2000-01 as an overage left-winger. In his time with the Wolves he recorded 5 goals and 16 assists in 19 games. He was drafted by the Ottawa Senators in 1999 in the third round going 94th overall. Kelly currently plays in the AHL for the Belleville Senators and has played 833 games in the NHL for Ottawa and Boston. During his time in the National Hockey League he scored 123 goals and added 166 assists. Eric O’Dell has been a force, winning key face-offs and notched a beautiful goal past Matt Dalton halfway through the second period giving Canada a 2-0 lead over Korea. O’Dell also made an assist on Canada’s only goal of the game and the game winner in the quarterfinals giving Canada a 1-0 win over Finland. 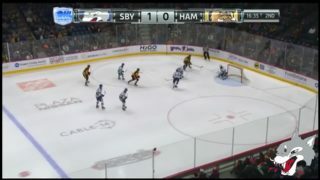 The 27-year-old centre from Ottawa played 4 consecutive seasons for the Wolves starting in 2008 helping the club to 3 playoff runs in 2009, 2010, and 2011. In 198 games he scored 100 goals and added 107 assists during the regular season and 7 goals and 11 assists in the post-season during his four years. O’Dell was selected in the second round, 39th overall by Anaheim in the 2008 draft and since has had the opportunity to play 41 games in the NHL with the Winnipeg Jets, recording 3 goals and 5 assists. For Team Germany Dominik Kahun has been a force with 2 goals and 2 assists as his team faced Norway, Switzerland and Sweden. The 22-year-old left winger added his first assist of the tournament against Norway on Patrick Hager’s goal to put Germany up 1-0 in the second period. Norway took the game to a shootout where Kahun notched one in past Lars Haugen as Germany’s third shooter. He also received an assist on the overtime goal against Switzerland in the play-off qualification round. Kahun netted his second goal of the tournament halfway through the third period in the quarterfinals against Sweden. Sweden made a strong comeback late in the third period, tying the game 3-3 but couldn’t hold on for the win as Germany sealed the deal in overtime winning 4-3. 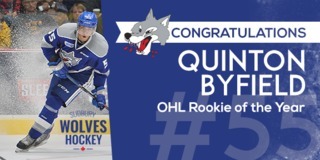 The left-winger played two seasons with the Wolves in 2012-13 and 2013-14 helping Sudbury to two playoff runs where he recorded a total of 2 goals and 6 assists in his post-season. He played 101 games with the pack and registered 22 goals and 49 assists. 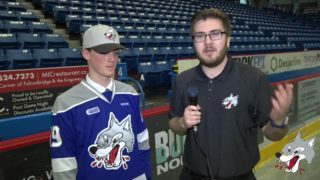 Forward Dominik Kubalik played 103 games with the Wolves alongside Kahun scoring 30 goals and managing 27 assists helping the club to the playoffs in 2013 where he scored 3 goals and made 3 assists. He was selected by the LA Kings in the 7th round, 191st overall in the 2013 Draft and currently plays in the Swiss National League for HC Ambri-Piotta. The 22-year-old left-winger from Plzen, Czech Republic recorded 2 goals in the preliminary round against Team Canada where the Czech secured an overtime victory and in the third period against Switzerland. The Sudbury Wolves would like to congratulate these hardworking men on their outstanding efforts representing their countries in the 2018 Pyeongchang Winter Olympics and wish them all the best of luck as they continue to compete for gold!